well it is ages since I posted anything but all my pre-Christmas makes were under wraps for obvious reasons! 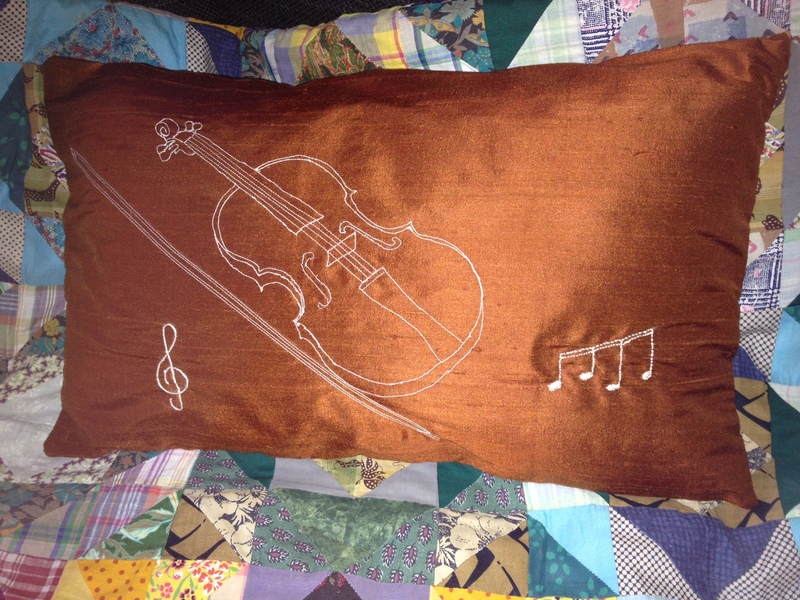 This is a silk cushion with hand and machine embroidery for a talented violinist. This entry was posted in cushion, embroidery, sewing, silk and tagged machine embroidery, sewing, silk cushion. Bookmark the permalink.